T/Sgt. Lonnie O. Davis, son of Mr. and Mrs. J. H. Davis, Loving, husband of Vera Hoffman, attended Lone Oak School. Entered AAC, 1942, trained in Texas, Miss., Mich. and Wyo. Served in ETO. 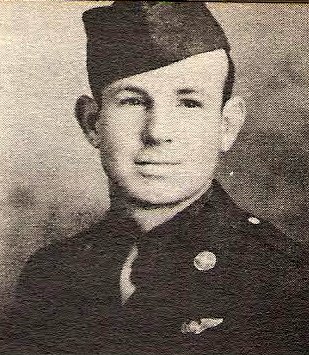 Awarded Air Medal, 3 OLC, DFC, GM, EAME and 5 Bronze Stars. Discharged n 1945.